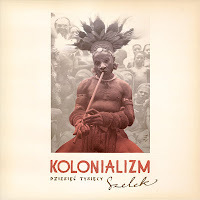 This unusual and very interesting album by the superb Polish saxophonist / composer Tomasz Szukalski, who sadly died this year, presents him in a double setting: first as a guest artist accompanying the Georgian vocal group Jazz Choral and than as a leader of his quartet, which includes also pianist Artur Dutkiewicz, bassist Andrzej Cudzich and drummer Marek Stach. The album starts with six pieces performed by Jazz Choral; First three tracks are sung a cappella and the remaining three are performed with Szukalski and an unidentified rhythm section (piano, bass and drums). 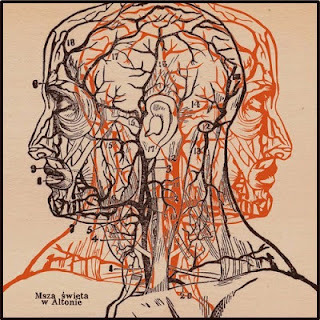 The vocal tracks are followed by three tracks performed by Szukalski and his quartet, two of which are standards and one is an original composition by the leader. Jazz Choral were a vocal group similar to the Polish group Novi, which existed on the local scene twenty years earlier, and several other ensembles which based their performances on perfectly matched harmonies and swinging melodies. Their performance is spotless and quite virtuosic, with a nostalgic touch. Szukalski spices their music with excellent solos, which can only be constructed by a musician of his statue. The three tracks by Szukalski and his quartet highlight his incredible power as a player, clearly emphasizing his post-Coltrane legacy and incredible versatility. Listening to him play, now that he is gone, is truly moving to everybody familiar with the Polish Jazz scene. His premature death is a great loss! This album was recorded during the transition period between Poland finally freed itself from the Socialist regime, and was somehow "lost" in the turmoil. This reissue brings back to life a piece of music, which should not be forgotten. Definitely worth investigation! 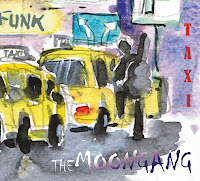 The Moongang started in 2009 on initiative of harmonica player Roman Badeński. Although his main interest is in blues he was going with this band to out-step boundaries of one genre and saturate this music with elements of jazz, funk, R&B and pop. The necessary versatility gave him players known from local Tri-City jazz scene: bassist Karol Kozłowski recorded with Paul Band and their album "Second Face" was one of the most interesting releases as far as jazz rock is concerned in Poland in recent years; young guitarist Marcin Wądołowski recorded in 2011 his debut album "Git Majonez" which was kept in mainstream jazz stylistic and was warmly received by critics and audience; vocalist Joanna Knitter appeared on this year release "Take It Easy III" by veteran of this scene saxophonist Przemek Dyakowski. Other players like drummer Piotr Góra and pianist Hubert Świątek are less known to me but they fit well in overall idea of this music. Musically there are no surprises here but nonetheless I must say that I like this album. It has some necessary characteristics of good jazz that is enthusiasm, authenticity and the spirit of collective music making. Whole album wheels around vocalist Joanna Knitter who penned texts (all English except one in Polish) to all songs while music was written mostly by Marcin Wądołowski (8 out of 12 tunes) but also by Knitter (2), Kozłowski (1) and Świątek (1). But they seem alike, they must be a result of collective creative work and they all sound well. I am especially very pleasantly surprised by singing by Joanna Knitter who on above mentioned Dyakowski's album was rather unconvincing. It is obvious that she fells much, much better in her own material than in interpretations of old standards which she sung on "Take It Easy". She showed here sense of humour, immense energy and vitality. She obviously delights most in music that is full of emotions, concrete and wholesome and on "Taxi" she found a space and partners to do what she likes best. The same can be said about the rest of the band as they clearly seem to relish the experience of recording this session. It sounds as if group of old friends gathered together and was exchanging as much some of their most cherished musical ideas as simply taking joy in having good time together. This mood of joy spreads over to music whose optimism is contagious soon making listener swinging hard. Good job! 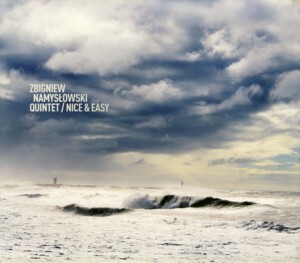 This superb album by Polish saxophonist / composer Zbigniew Namyslowski was recorded with a quintet comprising of young musicians including his son trombonist Jacek Namyslowski, pianist Slawomir Jaskulke, bassist Andrzej Swies and drummer Grzegorz Grzyb. It presents ten new original compositions by Namyslowski. It was recorded at the excellent Studio Tokarnia and engineered by Jan Smoczynski – a guarantee of sonic fidelity. At the time of the recording Namyslowski was almost seventy years old, being one of the few remaining last Mohicans of the first post-WWII Polish Jazz generation still active on the local scene. There is absolutely no evidence on this recording of Namyslowski's age, surely not in the negative sense. He seems to be completely confident both as a composer and a performer and stands hip to hip with the "youngsters" not giving up an inch. It is hard to believe that the same person took part in the legendary 2nd Sopot Jazz Festival in 1957 and was a member of the Krzysztof Komeda quintet that recorded "Astigmatic" in 1965, and yet these are just a few of Namyslowski's amazing career milestones. Namyslowski's compositions were always his forte, as he manages consistently to present a completely unique musical signature, which includes many different characteristics, like the odd meters he so often uses or the unexpected tempo changes, all those on top of beautifully structured melodies, which are simply magnificent. Therefore the musicians playing with him are supplied with a perfect vehicle for their respective solos. Although the music conceptually belongs to mainstream Jazz, it always comes with a twist which makes it anything but predictable or simplistic. On the contrary these tunes take a while to get used to and have a wonderful quality of growing on the listener with every listening session. The quintet performs like a dream, obviously inspired and directed by the Master. These young and extremely talented musicians keep the splendid tradition of the Polish Jazz alive and kicking, this time also learning from the best. Namyslowski continues his tradition to lead groups comprising of young musicians, which keep him invigorated and at the same time serve as a hothouse growing generation after generation of new players. The album was released on the German ITM label and the album's booklet includes liner notes by the excellent Jazz critic Bert Noglik, who is familiar with Namyslowski's music since many years. All in all this is a superb modern Jazz album, which should keep happy even the sternest Jazz connoisseurs, and of course deserves a honorable place in any serious Jazz collection alongside the earlier albums by this great Artists. A must! This is not just an album; for people who love Polish Jazz and Polish Culture, this is a monumental piece of Art and History… And for Polish Jazz this is probably the most important recording ever made, surely as far as international exposure of Polish Jazz is concerned. This album was devised, planned and eventually completed thanks to the efforts of Joachim Berendt, a German writer, critic, producer (and my dear personal friend and Mentor), one of the most important figures on the European Jazz scene during its formative years. Berendt, a devoted intellectual, was an enthusiastic supporter of early multi-media collaborations involving Jazz, especially in the Jazz & Poetry realm, fell in love with Polish Jazz from the moment he heard it during the groundbreaking second Sopot Jazz Festival in 1957, which he attended accompanying a delegation of German Jazz players. The plans to make this album were planted in his mind then and there, but unfortunately the Iron Curtain, the invisible great divide splitting Europe in two during the Cold War era, was stronger than the goodwill of the people who wanted to make it happen. It took a whole decade until Berendt was able to invite pianist / composer Krzysztof Komeda and his group, which included trumpeter Tomasz Stanko, saxophonist Zbigniew Namyslowski, bassist Roman Dylag and Swedish drummer Rune Carlsson, to his SWF radio studio in Baden-Baden to finally record the music. In parallel Berendt invited the German translator Karl Dedecius, who was the most important and pioneering translator of Polish and Russian literature and poetry into the German language, to select and translate the poems, which were to be combined with Komeda's music and recited by actor Helmut Lohner. Dedecius made a brilliant job, obviously a labor of lave for him, both as a translator and editor, selecting twenty four poems by Polish poets, many of which were at the time relatively obscure and politically "problematic" for the Socialistic regime. In retrospect two of these poets: Wislawa Szymborska and Czeslaw Milosz were eventually to be awarded the Nobel Prize in literature – not a bad guess indeed. 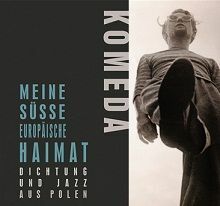 By the time this album was recorded Komeda was of course already the undisputed Godfather of modern Polish Jazz, as well as a world-famous composer of film music, most notably those directed by Roman Polanski, but also many others. His quintet was one of the best European Jazz ensembles at the time, which of course is clearly evident on this recording. Komeda's themes are perfect companions to the poems, full of lyricism and deep emotions, expressive and often quite free form, enabling the soloists to expand the basic structure into improvised passages. The album was originally released in West Germany by EMI / Columbia in 1967 and the original vinyl is a super-rare collectors' item. This new edition adds as bonus tracks three of the themes used on the original album, recorded in extended instrumental versions by the same quintet, which are of course sensational. The album is beautifully packaged in a book-like digipak, which includes the original liner notes by Berendt and many splendid photographs. 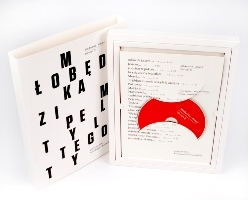 The texts (both Polish and the German translations) of the poems are unfortunately not included (except one), which is a pity, but obtaining all the copyrights was probably too much of a nightmare. An extended essay about this album should have also been appropriately written. I wish you all Merry Christmas and Happy New Year!!! Leszek Możdżer's improvisations on Chopin's works are among the best in this genre, and certainly the most original. His first album "Chopin - impresje" (1994) was reissued to commemorate the composer's 200-birth year as a "Impressions on Chopin" (2010). Pianist often includes the reminiscences of those albums in his concert repertoire. The meeting of Leszek Możdżer with Ryszard Tymon Tymański again on one stage is also significant. Their musical roads came together in the late 80, when formed already legendary jazz band from Tri-city "Miłość" („Love”), from which hatched the concept of "yass" (merger of jazz, punk rock and folk) and subsequently spread over a fair part of then young music scene. And there is also Jurek Owsiak – a great figure of Polish charity, the founder of "Wielka Orkiestra Świątecznej Pomocy”. It is a foundation which every year collects money to help the sick, especially children, by buying the necessary equipment for hospitals. His foundation since 1995 also organizes fully sponsored festival “Przystanek Woodstock”, inspired by the Woodstock, with music - willy-nilly - rather different from jazz. When Leszek Możdżer was asked to give a concert at the festival, he didn't hide his embarrassment: “this is a specific festival - said in an interview for the Polish Radio Dwójka - hundreds of thousands of free people under the stage. It was a heavy mental strain for me, even though I was only an hour on stage, the whole half a year I was disturbed by this term. I didn't know how it will look like. Two days before the concert I wrote arrangements. I knew that if I take “hooligan-boys” to the team and we play together on the big stage, we will be understood". In result, the concert was listened by 200 thousand of people, what can be heard on the recording full of cheers, whistling, vibrant reactions. The evidence of what was happening at this festival is a voice of Jurek Owsiak, or rather what remained from it. Możdżer always so very eloquent and talkative on stage, this time adapted his announcements to the omnipresent noise; sometimes it sounds funny for a jazz fan - "Etude in E-major, E-major, which we love and respect”. So what about the music? The arrangements are various and Chopin's themes - if they occur - very clear. In the original pieces, particularly in etudes, it is possible to hear many, both rhythmical and melodic layers which attests to their richness. This “hooligan” approach to the very sensitive matter on the one hand deprives them of such value, but on the other hand gives back the pure essence. Educational role? Why not? In the recording, we find several themes arranged literally, but there are also others, that contain only shreds of themes and chords, as for example Etude in G-flat major, Op 25 no 9, which begins with a strong, funky drum solo, and then develops vigorously along hardbop lines. Another Etude in C major Op 10 no 7, very "brillante" in its essence, is the one where we can hear the melody in parts of wind instruments, sounding like a big band, in a midst of which we can hear Możdżer’s improvises. In the opening Etude C major Op 10 no 1 the pianist fiery plays the original in the background, when the band firmly plays vertical chords. Each piece is actually a separate story, has its own tension, is a source of concern and curiosity, as the famous Etude in C minor Op 10 no 12 “Revolutionary”, played in kind of "tempo rubato" and completely free. And just here, the bass solo of Tymon Tymański makes the silence in the audience. The band manages to sneak in an unusual way the wonderful themes even in a pretty romantic version: Prelude in E minor Op 28 no 4, very often played by jazz musicians, was played here almost like a ballad. It's incredible in the end, when Leszek Możdżer plays original Etude in E major Op 10 no 3 - the best proof that Chopin's music was received with approval, that the great music stands no artificial borders. 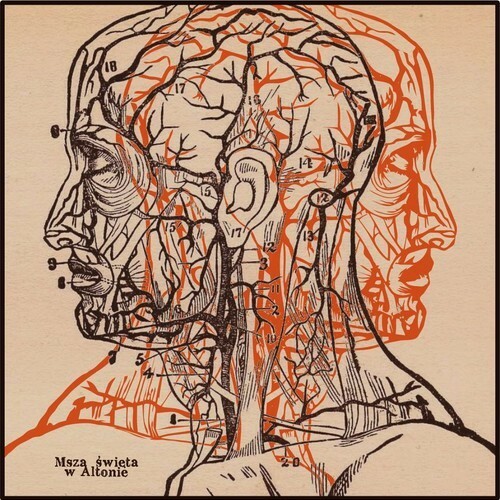 Celebrating 200th years since the birth of this arguably most famous of Polish composers, this album is the most credible evidence that the clashes of different cultures and aesthetics could give great results indeed! 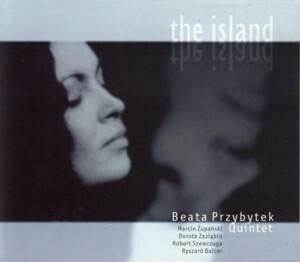 This is the third album by Polish Jazz vocalist Beata Przybytek, recorded with her quartet, which comprises of pianist Dorota Zaziablo, bassist Konrad Basiuk and drummer Ryszard Balcer. Guest artists include percussionist Slawomir Berny, guitarists Jacek Krolik and Jaroslaw Smietana and veteran saxophonist Janusz Muniak. On this album Przybytek says farewell to the Jazz standards songbook, which she used on her two earlier recordings, and dedicates this entire project to songs by the great Stevie Wonder, selecting ten of his well-known tunes and presenting them in new arrangements, which results of course in a tribute album of sorts. Wonder's songs, although catchy and beautifully melodic, are by no means straightforward musically and Przybytek takes quite a risk here attempting to re-invent the Master singer / songwriter by changing his original songs utilizing a Jazzy arrangement but also playing around with the melodies harmonically, twisting them and altering their tempi, usually to half the original speed. Somehow magically all this works out fine and the resulting music has a life of its own; still close enough to the source to be easily identified but at the same time significantly different to make things interesting. Her vocal performances are her best to date, showing undeniably that she sings well when not limited by stylistic restrictions, i.e. her Jazz education and experience, utilizing mannerisms and vocal routines commonly used in Soul, Rhythm and Blues and even Rock. All these influences finally amalgamate in her vocal performance on this album, which immediately put her on a completely new plane musically. Her vibrato is simply irresistible, causing goose bumps and other inexplicable physical and metaphysical effects to the innocent listener. She gets a very sympathetic support from the quartet, especially the acoustic bass, which is right at her side at all times supporting her wonderfully. The percussionist plays on several tracks, keeping his arsenal to minimum, which is very tasteful and rare since percussionists often tend to dominate every recording they're on. Both guitarists and the saxophonist solo briefly, ornamenting the album but not adding any vital contributions, which would change its quality. All in all this is a very bold statement, beautifully executed and full of wonderfully sensitive musical tricks and treats. It takes more that a single listening sessions to really appreciate this album, but that is quite customary for all quality musical ventures as this one. A few more spins and the listener is hooked entirely. In many respects this album could appeal to a wide range of music connoisseurs, both those who prefer Jazz and those who like Pop material. Quality is a universal heart opener, and this album definitely opens many hearts! This is the second album by Polish Jazz vocalist Beata Przybytek, recorded with her quintet, which comprises of saxophonist / flautist Marcin Zupanski, pianist Dorota Zaziablo, bassist Robert Szewczuga and drummer Ryszard Balcer. Same as its predecessor, which was recorded eighteen month earlier, this album presents nine classic Jazz vocal standards, sung in their original English version. There are no arrangement credits on the album's liner notes. The album was recorded while Przybytek was still a student at the Academy of Music in Katowice where she studied Jazz vocals and her group comprises of her fellow students from the same school as well as students from the Academy of Music in Krakow. The result is in many respects a direct continuation of what the debut recording offered, but it is much more relaxed (and even somewhat lax), suggesting more self-confidence. Effectively it lacks the youthful enthusiasm and spontaneity and therefore also looses some of the charm of the debut album. Przybytek saves the day by exposing her ability to stretch her voice and use a husky tone most effectively, which brings her closer sonically to Soul and Blues rather than to the straight-forward Jazz format. On this album her talent obviously outgrows the abilities of her cohorts and with a different band she would have probably achieved a much better result. All in all this is still a very nice mainstream vocal Jazz album, which should make most of the fans utterly satisfied. Przybytek is a very talented singer and once she reached her full potential as singer / songwriter all her qualities came to full bloom. In the meantime this is a nice souvenir from the student days. Definitely worth investigating! This is the debut album by Polish Jazz vocalist Beata Przybytek, recorded with her quintet, which comprises of saxophonist / flautist Marcin Zupanski, pianist Dorota Zaziablo, bassist Robert Szewczuga and drummer Ryszard Balcer. Violinist Krzysztof Maciejowski guests on one track. The album presents nine classic Jazz vocal standards, sung in their original English version. There are no arrangement credits on the album's liner notes. The album was recorded while Przybytek was a student at the Academy of Music in Katowice where she studied Jazz vocals and her group comprises of her fellow students from the same school as well as students from the Academy of Music in Krakow. The result is certainly well above the expectations one might have from a group of very young and inexperienced musicians. Both the vocals and the instrumental backing are quite excellent and most importantly have a unique sound and afresh approach to these standards, which have been tried countless times before. The arrangements include enough space for the instrumentalists to be able to show their skills, which they do repeatedly. Przybytek unveils her warm and expressive voice, which she playfully stretches between seductive meows and heartbreaking howls, all in good taste and with obvious talent. She does not use often the husky tone, which she utilizes on her later recordings, but her enormous potential is quite evident here. She also is one the very few Polish vocalists that can get away with singing in English without sounding utterly ridiculous, which works in her favor. Her intonation tends to be on the Gospel / Blues side, which suits her well. Overall, although not very innovative or groundbreaking, this is a very solid offering, which as a debut can be definitely regarded as an outstanding effort. Vocal Jazz fans will find this quite delightful, combining youthful enthusiasm and innocence with talent and dedication. Well done! This is the third album by Polish Jazz vocalist Krystyna Stanko and her second recording with the group (0-58), which paired her as a co-leader with guitarist / composer Maciej Grzywacz. The group also included accordionist Cezary Paciorek, bassist Piotr Lemanczyk and drummer Marcin Jahr. The album includes eight original compositions, seven of which are by Grzywacz with lyrics by Stanko and one is an instrumental by Lemanczyk, where Stanko uses wordless vocalese only. 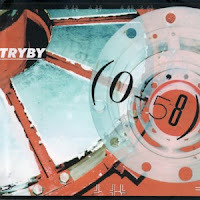 Musically the album is a striking amalgam of cross-genre explorations, which could be labeled as Jazz-Rock Fusion, but in truth comprises of many other musical influences and sources, from French musette via alternative Rock, RIO, Fusion, Prog and probably quite a few others, all resting firmly in the Jazz tradition. The eclecticism is not only part of the composition but is also reflected in the entirely unusual overall sonic atmosphere, which moves between the accordion inspired jubilation to dark, melancholic and deeply lyrical pieces, especially those featuring Stanko with Grzywacz on acoustic guitar and supported by the incredible bass lines by Lemanczyk and percussive ornamentation by Jahr. The album offers so many incredible musical moments that by and large the listener has barely time to enjoy one piece of music and is immediately thrown into completely new surroundings. The level of performances on this album is simply astounding. Stanko, as usual, presents the lyrics with a theatrical sensitivity and the instrumentalists magically perform a set of chameleonic tricks, changing moods and tempi on the fly, often using those strange odd meters, which make music exciting. The decision to use the accordion is a blessing as this fantastic instrument is able to produce a variety of sounds, so sweet and natural, that no synthesizer can ever come close to. Paciorek is obviously a Master and his solos, as well as his accompaniments are a real joy. Grzywacz is a versatile player with great technique and sensitivity, which is quite evident here and his solos are a classic examples of what Jazz / Fusion guitar playing should be all about. Lemanczyk is a true giant, and his strong acoustic bass lines on this album often sound as if produced by a bass guitar, which is quite incredible, Jahr is an excellent drummer and his all-around experience playing in many different musical areas makes him an ideal contributor on this recording. 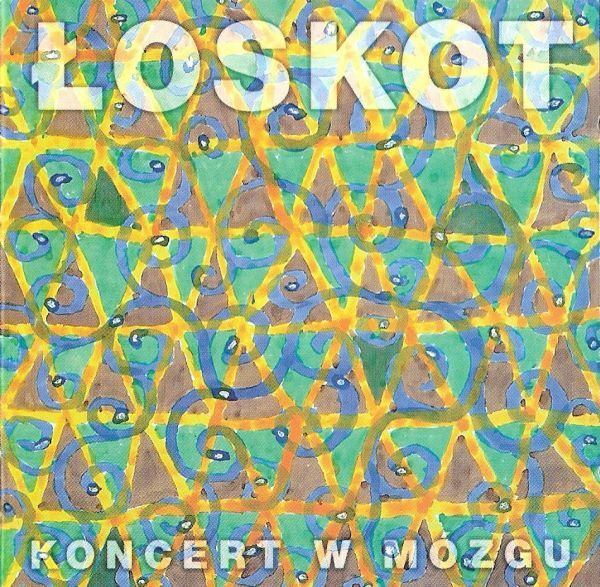 In retrospect it appears that this is definitely one of the best offerings of the Polish Jazz / Fusion scene in the first decade of the 21st Century and it certainly deserves much more attention and praise than it originally gained at the time of its release. Seemingly out of print, perhaps a reissue us in order? Delightful stuff! This is a wonderful album by Polish Jazz vocalist Krystyna Stanko and her regular partners: vibraphonist Dominik Bukowski and bassist Piotr Lemanczyk dedicated to their arrangements of Christmas Carrols. Poland has a tradition of Christmas Carrols spanning back to the middle ages and including many original Carrols written in the Polish language. The nine Carrols selected for this album include both internationally known Carrols translated into Polish and original Polish Carrols. Jazz interpretations of Christmas songs and Carrols have been tried many times before, most of them being simply an opportunistic pastiche devoid of any artistic merit. However this recording is surprisingly touching and absolutely stunning musically. The intimate setting of a vocalist and just two accompanying instruments (well veteran drummer Cezary Konrad does play on one track) seem to be able to bring out the best of everybody on this album. Stanko delivers the lyrics with a heartbreaking honesty and sensitivity, Bukowski paints the melodies and colors the entire atmosphere with his mallets and Lemanczyk carries the music on the back of his incredible bass lines, steady as a rock and virtuosic like butterfly's wings. The entire delivery is simply breathtaking and in retrospect one must see that Stanko's sensitivity to the spoken word is at its peak here, ready to explode on her next solo project "Kropla Slowa". The arrangements, which transpose the Carrols into the world of Gospel / Blues / Jazz are artistry in itself, and should be studied in music schools the world over. The most amazing effect of this album is the fact that it makes the listener actually listen to the lyrics. Most religious music is usually performed in a mantra manner, with the performer uttering the words without actually even trying to comprehend the meaning of the text, especially when it happens during a ceremonial act. I must say that although I have heard these Carrols countless times before, I actually listened to the words for the first time while listening to this album, and was quite surprised by their beauty. Regardless of the religious context, this is pure poetry full of longing for love, compassion, sympathy and understanding, which are universally human. I can't think of a better Christmas gift to anyone, who loves music, especially if they understand Polish, but the beauty of this recording knows no language barriers and melts open hearts anywhere. A treasure! (Editor) "Absinth" is the third part of the music and poetic trilogy created and performed by the Polish-Swiss band Karbido and Ukrainian writer Yuriy Andrukhovych. The previous parts of the trilogy were the albums "Samohon" (released in Poland in 2006 and in Ukraine in 2008) and "Cinnamon" (2009 and 2010 respectively). Both these works, albums as well as their live renditions on Ukrainian and Polish stages, became notable and widely discussed phenomena of modern independent culture. The program is based on Yuriy Andrukhovych's novel "Perversion". 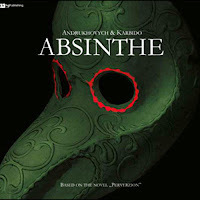 Creators of "Absinth" see it as an original 60-80 minutes long soundtrack to a film of an unknown director (Perfetskyi himself?) based on "Perversion" but never actually filmed. This is the fifth album by Polish singer / songwriter Krystyna Stanko, who this time sets aside her own music and pays homage to the songwriting talents of Brit Peter Gabriel. Gabriel, who came to fame as the eccentric, theatrical and quite over the top charismatic front man of the legendary proggers Genesis, calmed down considerably after he opted for a solo career, which in retrospect was a smart move, both artistically and commercially. Over time Gabriel recorded an impressive number of albums, containing mostly his self-penned material, which overall is excellent Pop music in today's standards, gaining acclaim by critics and fans alike. For her album Stanko selected eight songs, seven of which are Gabriel's creations and one, which was covered by him on his eights studio album "Scratch My Back", and was originally written by Stephin Merritt, front-man of The Magnetic Fields. She is accompanied by a dreamy quintet, which includes trumpeter Marcin Gawdzis, bass clarinetists and flautist Irek Wojtczak, veteran drummer Cezary Konrad and her regular cohorts vibraphonist Dominik Bukowski and bassist extraordinaire Piotr Lemanczyk. On the non-Gabriel song she sings a duet with singer Mieczyslaw Szczesniak, who appears as a guest. Jazz tributes to Pop artists are a perilous path, often leading straight off the cliff and I must say that this album is one of the very few such attempts that actually work, which already is a success. What makes this music work is mostly the fact that Stanko as a performer and Bukowski / Lemanczyk as arrangers (although not credited as such on the album's cover, but audibly so) did not just perform a tribute to Gabriel's music by covering the songs but in fact transformed the music, often quite dramatically, into a different platform, which has very little to do with the original Pop environment it was created in, and sits firmly in the Jazz idiom every step of the way. All the solos, the incredible work of the rhythm section and Stanko's vocals are dripping Jazz honey every step of the way and I'd even risk speculating that many of Gabriel's fans would not recognize some of the original songs under the disguise they appear here in. I dare say that I find it a pity Stanko did not take this project one step further, by translating the original lyrics into the Polish language, which would have made her vocal expression much more sophisticated and intense. Singing in a foreign language is an effort, which usually limits the vocalist by robbing them of their total attention towards the music, so necessary in order to create a perfect vocal delivery. Nevertheless this is a speculation and the album is definitely an excellent piece of music the way it was recorded. I have no idea if Gabriel ever heard this album, but I'm quite sure he'd approve and appreciate it, considering he's one of the more open-minded and non-prejudicial heroes of the contemporary music biz (or whatever is left of it). This is definitely an album worth having and hearing again and again, in different moods and circumstances, as it is multifaceted and capable of uplifting the spirits repeatedly. There is something in there for a wide audience of music lovers, from Jazz buffs to Pop aficionados (providing they wash their ears first). Kudos Krystyna! (Editor) Last winter was exceptionally rich in interesting recordings and important premieres for Export Label. 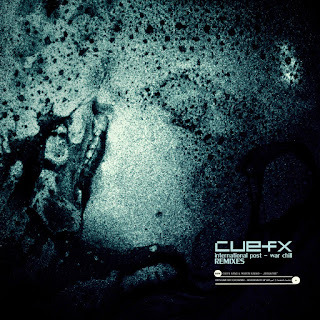 After Blossom’s debut album Blue Balloons which created quite a buzz, there was the premiere of ‘International Post-War Chill’ by Jacek Latoń, aka Cuefx. The latter is not only a nu-jazz album, it is also the most ambitious item in both the author’s and Export Label’s discographies. The abundance of experimental sounds and musical themes allow the listener to interpret and re-interpret the content of the album and of each individual track. “Musically it’s all about jazz, ingeniously mixed with abstract hip-hop in a very illustrative way that brings to mind a film score. Echoes of New York experimental scene can be heard on this album; illbient, Laswell, DJ-a Spooky or The Blue Series, that actually connect the hip-hop and jazz scene, all seem to have inspired Cuefx as much as Scandinavian nu-jazz has.” That’s what Bartek Chaciński (Polityka) had to say about the album. 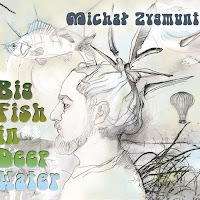 Premiere of new album by Michal Zygmunt!!! (Editor) Last year guitarist Michał Zygmunt released album "Muzyki" (2011) which was kind of blend of of jazz and Polish folk music. Its creativity and accessibility was appreciated as much by critics as by audience. On his newest album "Big Fish In Deep Water" (2012) he continues on his musical journey but this times departs fromPolish lowlands and explores different landscapes throughout the whole world. What an album, what a wonderful piece of work - how exemplary and yet how unknown! Of course the audience is somewhat limited because of the language, but the voice of the reciter should touch even those who don’t understand the meaning of the words. And the words were well chosen - you find here poems by the finest poets of Poland of the late 19th and of the first half of the 20th century. Best known to the international audience are probably Wisława Szymborska and Czesław Miłosz who both only years later received the Nobel prize in literature. One interesting aspect is that it’s not one poem - one song, but that for some tracks different poems of different authors were combined. You will hardly realise this while listening though as they thematically suit - most deal with the war and the generation that lost it’s youth during that time. Some are quite critical about the political situation in Poland in the 50s and 60s though. This is probably one reason why this album had to be recorded an released in West Germany (the recording took place at the SWR in Baden Baden in May 1967). The reciter, Helmut Lohner, gets to the heart of every poem. His voice may for us sound like a typical narrator of his time - haunting, sometimes agitating - but so are the poems. 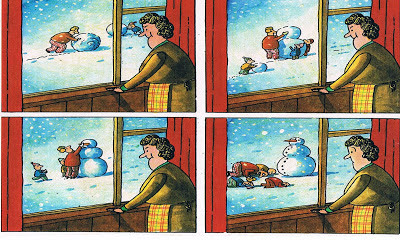 And where necessary he brings in all the heartiness to make you cry. An effect that gets even amplified by the music which never just jingles along in the background nor tries to outdo the recitation. You can hear this on every single track, there is not one song were you could get the slightest impression that Komeda had no clue on how to illustrate the text. This truely was one of his strengths. Roman Polański once said about Krzysztof Komeda that his music was cool an modern, but with a human heart. And that his films would be worthless without his music. Of course this does not apply to these poems - they work very well for themselves, but the recitation gets a lot from it. I think it’s needless to say anything about the musicians - they are thoroughly documented on this blog. Tomasz Stańko, Zbigniew Namysłowski, Roman Dyląg, and Rune Carlsson are the perfect vehicles for transporting Komeda’s ideas onto the record. No tfor nothing they became well known as the Komeda Quartet and as some of the undoubtedly most influential musicians in Poland - you can hear on this album why. 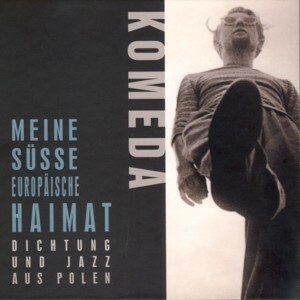 This album is a must have for anybody interested in Polish poetry and/or jazz. If you happen to know German it’s probably easier, else you can of course try to get a translation into your language and see for yourself how great the interpretations are. Czesław Miłosz "Nach der Katastrophe - Warschau 1943"
Kazimierz Przerwa Tetmajer "Ich such Dich"
Zbigniew Bieńkowski "In Deinem Namen"
Zbigniew Herbert "Gärten züchten" aus "Die Klapper"
Stanisław Grochowiak "Busen der Königin"
Konstanty Ildefons Gałczyński "Mit Instrumenten schlendern"
Adam Ważyk "Am Anfang dressierte man Pferde"
Czesław Miłosz "Lied vom Weltende"
This is a stunning debut album by Polish Jazz pianist Piotr Orzechowski (a.k.a. 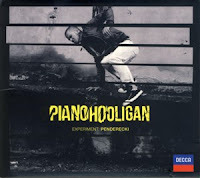 Pianohooligan), a twenty two years old prodigy, who managed to take the local scene by storm and win respect and admiration even from the top echelons of the "serious" classical Masters, like the celebrated Polish composer Krzysztof Penderecki, one of the world's greatest contemporary classical composers. Orzechowski recorded and privately released a demo album a year earlier, which featured his solo piano performances of his compositions, as well as his interpretations of several classical compositions. He took this idea even further with this project, his formal debut release, by presenting a series of solo piano interpretations of music composed by Penderecki, after approaching the Maestro and receiving his blessing and cooperation. The resulting music is a triumphant amalgamation of Penderecki's lofty music and Orzechowski's earthy improvisations, mixing elements of romanticism, Jazz, avant-garde and classical modernism. There is an element of youthful rebellion and attitude in Orzechowski approach, as evident by the amount of freedom he allows himself while interpreting Penderecki's music, which although modernist and even avant-garde, is after all formalized by being composed in a most precise manner. I'm especially glad to see the Maestro approving this approach, which shows his open-mindedness and love of musical diversity. This music is way beyond virtuosity, although of course the artist is a bona fide virtuoso; it is first and foremost about creating art, using whatever gift that was bestowed upon you, and Orzechowski is indeed blessed by many gifts. There is his vision and imagination, which made him to conceive such project in the first place, an incredible courage to deal with an iconic figure like Penderecki, the commitment to carry the project out and the aptitude to actually pull it through. All this, mind you, by a twenty two years old human being in a world where others of his age spend their lives twiddling cell phones. Personally this album is a beacon of hope for people like me, who see what they consider as Culture disappearing into a black void. This is not only culture, but an artistic "haute couture" which deserves to be admired and almost religiously followed. Performed on acoustic and electric (Rhodes) piano, the music was beautifully recorded in Switzerland and eventually released on the prestigious classical Decca label, owned by Universal, a clear sign of recognition of Orzechowski's incredible talents. I'd guess he is one of the youngest, if not the youngest artists ever, who recorded for the label. I have been lucky and honored to be privy to this music from the moment it was created a few months ago when it was sent to me by the artists, asking for my opinion. I forwarded him my warmest support and encouraged him to seek the proper home for his music, which he eventually found. Hopefully this release will trigger international attention and recognition, which this album and its creator so much deserve. A masterpiece! (Editor) This is one of best EP I've listened to in recent times. Rooted in rock yet utilizing some jazz language and decorated by exotic folk notes, it provides juicy and wholesome music that is higly enjoyable. Other bands of similar profile on our blog are: Light Coorporation, Orange The Juice or Contemporary Noise Sextet. Not bad indeed! It was Miles Davis who said that every trumpeter MUST find HIS drummer to become GREAT. For him it was first Philly Jo Jones and then legendary Tony Williams. 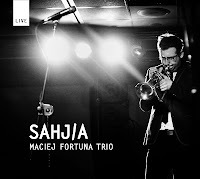 For trumpeter Maciej Fortuna it could very well be Krzysztof Gradziuk. Because with addition of this player the music of his trio clearly fired up to the sky. I cannot say anything else but that in such a set-up this trio is one of BEST combos in whole Polish jazz these days. Maciej Fortuna talent is expanding in recent years like supernova. Similarly to Joshua Redman apart from being musician he graduated from law faculty and was for some time hesitating which way in his life to choose. Fortunately (nome omen!) the love for music prevailed and since then his career is advancing in bounds and leaps. He first caught my attention with his album "Lost Keys" released in 2010. Musically this album was a kind of hommage paid to bop roots of modern jazz. Fortuna's trumpet flied high in virtuosic style of Lee Morgan, Fats Navarro or Clifford Brown. He played with full sound, quick and sharp. Incredibly self-confident for such a young cat, almost a debutante. On his next album "Solar Ring" (2012) he downsized his team from quartet to trio. I had an impression that he did so to make his own voice better heard. He was clearly moving deeper into fabric of music in order to find his own sound: The Holy Grail, the Promised Land of all jazz instrumentalists. On this album bassist Piotr Lemańczyk first appeared. He is fully matured musician. Himself a leader of many best combos in this country. His focused, intellectual, yet wholesome sound superbly fits into Fortuna's musical conceptions. These two albums were important steps in Fortuna's chiselling his own style but the process is still going on. Another important stage was his turn from hitherto mainstream path to something totally different as evidenced by album "1" (2012) he recorded in duo with Anna Suda. She helped Fortuna in experimenting with transforming sound of trumpet electronically. Plus she added to this pot completely different rhythms taken from modern dance music. Finally on "Sahjia" all this elements were combined together. Lemańczyk's deep and thoughtful bass. Gradziuk's expressive and innovative drumming. Fortuna's clean yet somewhat otherworldly trumpet. And... audience! Empathic, alert, often enthusiastic. The tracks were recorded during six different concerts, out of approximately 50, which this trio has given over last two years. Without its active participation there would no such an energy in this recording. Because of that the music radiates with inner heat. With dedication. With belief. Great jazz? No. It's more than just that. Great music! Jack Rabbit Slim Jazz Pack!!! What an awesome thing! Thanks to this innovative platform you can buy some records in packs at a very attractive price. Here, fantastic 4 CD pack featuring creme-de-creme of young Polish avantgarde music. Highly recommended! Polish Jazz Project 2012 is LAUNCHED!!! The main idea of Polish Jazz Project is to list as many as possible albums with Polish jazz released in given calendar year. By "Polish jazz album" we understand any disc which was recorded with participation of Polish artists. Such a wide range increases possibility that some recordings may passed unnoticed by us. We therefore count strongly as much on artists as on readers' cooperation. Our goal is to list ALL new releases released in given year. If you think that our list is incomplete, please inform us what should be added by writing at: polish.jazz.blog@gmail.com. Full Drive 3 is a follow up to the two previous recordings by the group: Full Drive (2004), Full Drive 2 (2007). The leader Henryk Miskiewicz is one of the most important Polish saxophonist and actually the only regular member of the band. 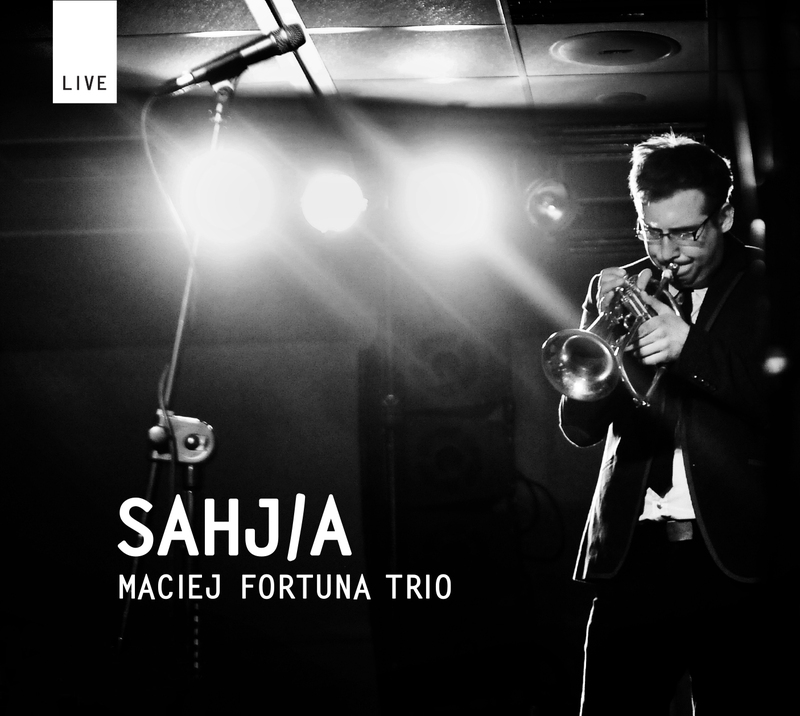 Like the previous albums this is also a live recording, the fruit of two concerts in Jazz Cafe Łomianki. You can hear Miskiewicz's announcements, spontaneous cheers, long rounds of applause; all this undoubtedly creates a mood of “free and easy”, full of positive vibes. Almost every musician plays here on several instruments, so we have saxophones, guitars, basses, and drums. Although the band went through many personnel changes, Miśkiewicz proudly admits, that all the musicians know each other inside out and create a reliable band to record such projects live. In the latest interview he says: „I really like the live recordings, just because you can hear all kinds of stuff, and it's simply natural. Any grides or mistakes, it all creates an atmosphere. And also you can hear how the audience reacts”. As on the previous albums, special guest also appear here, and it is not a singer this time (Dorota Miśkiewicz – Full Drive, Kuba Badach – Full Drive 2), but an excellent, New Orlean's trumpeter - Michael „Patches” Stewart, presented in a playful way by Miśkiewicz, as „one, who plays with all”. In fact, Patches worked with stars – Marcus Miller, Quincy Jones, David Sanborn, George Duke and Whitney Houston. His role in Full Drive 3 can’t be overestimated, he perfectly fits in the funky/bebop climate of the tunes, playing strongly forward, sometimes evoking of the most prominent fusion band, with Miles Davis in the lead. It's no secret for Miśkiewicz, that his approach to the team as a whole, is inspired by the Cannonbal Adderley, both in new compositions and arrangements. Musicians play intensely and heavily if needed, driven by funk energy. Their music is recognizable after one note, what is – not exaggerating - a phenomenon on a global scale! What makes Full Drive unique is that every single piece is truly rocking and melodies are catchy. The opening theme by soprano saxophone, “Song About Song”, sounds like the harmonica's motive from Stevie Wonder. "Montalcino Blues", in turn associated clearly with Hancock's “Chameleon”. Fusion, ambiental backgrounds, with indispensable guitar sound of Napiórkowski, refer to Weather Report, such as in “In a Silent Way” by Joe Zawinul, the composition also recorded by Full Drive 3. The idea of Full Drive's music has been consistent in its form from the very beginning, but calling it boring and trivial is out of the question. Anyway, the question is – how long such an orthodox kind of playing will be working live? Musicians seem careless about what is going on at the moment in the international „jazz scene”, I mean in all these neo-avant-garde and experimental streams. However, the band's concert experience shows us, that they can fill a room and it's because the third proposal of Full Drive still sounds fresh and convincing. So we can hear in the end of the recording the audience singing in two voices Zawinul's “Walk Tall”, the tune that became like an anthem, played on the first Full Drive releases. The revival of jazz avantgarde in Poland in 90ties, which is known as yass movement, remains one of most significant events in whole history of this music in Poland. 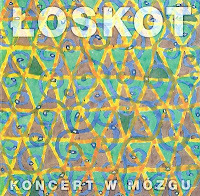 One of the bands without which it is impossible to imagine this phenomenon is Łoskot (transl. "rumble, din, crack"). Since the beginning marked by this album released in 1994 up to its splendid end in 2005 (check review of "Sun") this band showed the best features of yass: creativity, courage, all-or-nothing attitude. 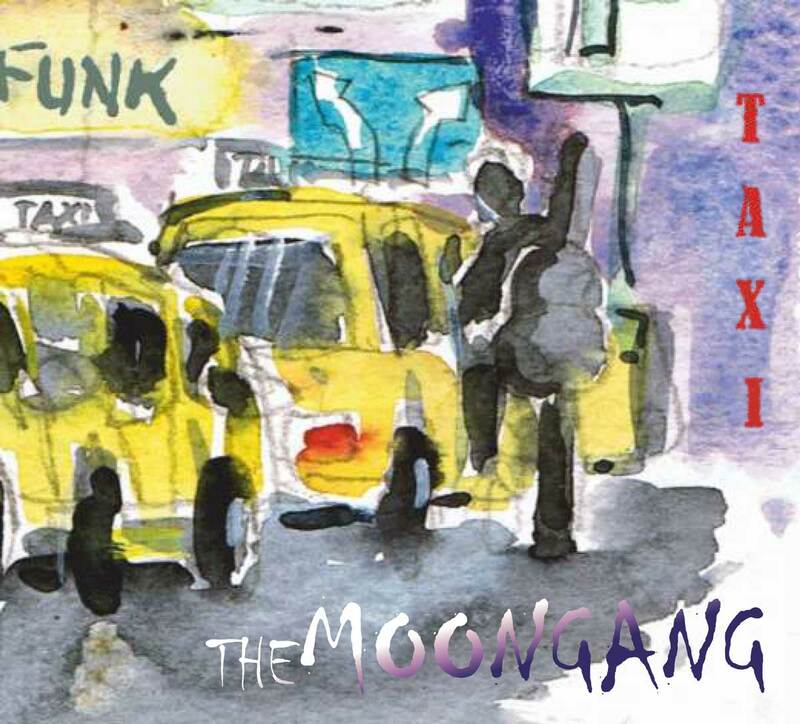 Musically this album is the closest to the tradition of American free jazz of 60ties. Subsequent albums marked further experiments in many different directions: electronic and classical music, rock and others. Since XIXth century Romanticism poetry plays very special role in Polish culture. Great poets of that era - Mickiewicz, Słowacki, Krasiński and then Norwid - preserved national spirit in gloomy days after Poland had lost independence at the end of previous century. This tradition was kept alive also in XXth century what is evidenced by two Nobel Prizes for Polish poets: Wisława Szymborska and Czesław Miłosz. But apart from them there has been many others, equally interesting and widely read, like for example Zbigniew Herbert. One of those many is poetess Krystyna Miłobędzka.